Sometimes a patient's story is so moving that it's impossible not to be affected. Dr. Jonathan Morris explains why a moment he witnessed at a fundraising event is one he'll never forget. A cancer diagnosis can be extraordinarily difficult on patients and their families. It also can take a toll on the doctors, nurses and other providers who often come to care deeply about the people they care for. So when good news comes — normal blood work, a clear scan — there is much to celebrate on both sides of the bedside. "The physician, much like the patient and even the institution, needs these wins," says Jonathan Morris, M.D., a Mayo Clinic neuroradiologist, says good news and happy endings can help care teams "carry on with a steadfast will to provide this level of hope, sometimes against the odds." 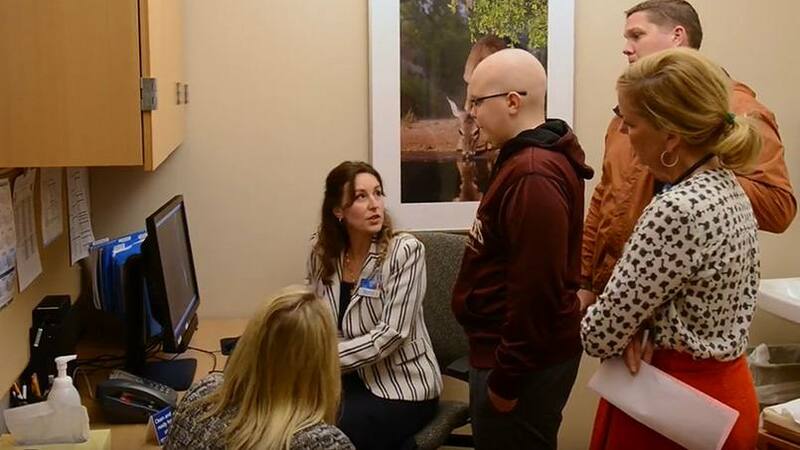 Earlier this year, Dr. Morris learned about one particularly inspiring example of beating the odds through a video that premiered at a fundraising event for Ronald McDonald House of Rochester. 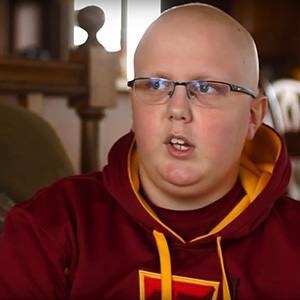 The short film features Bryce Capesius, a 16-year-old from Algona, Iowa, who was diagnosed with cancer in 2015. A tough hit at football practice led to a doctor's appointment and eventually an explanation for the headaches that had been plaguing Bryce. He had a germ cell tumor in his brain. Bryce and his parents, Joe and Brenda Capesius, immediately headed to Mayo Clinic for treatment. As the video shows, they found much more in Rochester. The story begins with Bryce's diagnosis, which didn't "sink in" right away, Brenda says in the video. That quickly changed when Bryce's care team outlined his treatment. "It's not going to be two or three days in the hospital [and] go home," Brenda says of the plan that would include chemotherapy and proton beam radiation. "Your whole life is going to change." For the Capesius family, those changes would prove both brutal and beautiful. There were days when Bryce's treatments left him screaming in pain. There were long stretches of time living away from home. But there was also an enormous amount of love and support that surrounded them — not only from friends and family back in Iowa, but also from new friends in Rochester. That included Bryce's care team and the staff and families at the Ronald McDonald House, where the Capesius family lived during his treatment. The video ends with comments from Bryce, who is now in remission. "Some days I doubted myself," he says. "I asked why. Why was I diagnosed, or why is cancer even there." But in spite of the doubts and the whys, Bryce came to find meaning in his diagnosis. "It's definitely changed me for the good. You've just got to have a positive attitude if you want to overcome something this big," he says. "I know now that this is a benefit because I can help people through." Including people like Dr. Morris. "So rarely do we as physicians, particularly in oncology, get to peek into the wide expanse of a patient's journey," he says. "I'd never met Bryce before that night, but that night will stay with me forever." One moment in particular will stick, he says. But this one didn't take place on video. It happened later in the evening, when one of Bryce's doctors, Nadia Laack, M.D., grabbed Bryce by the hand and led him out to the dance floor. Others followed and formed a circle around Bryce, dancing, laughing and smiling. It was as if, Dr. Morris says, they were "celebrating something that was beyond any fact or statistic." Sounds like a happy ending to us. Now put on your boogie shoes and leave us a comment below. 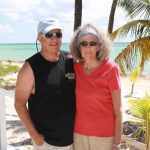 Then you can use the handy social media tools atop this page to share this story with others. Congratulations Bryce. You are strong and amazing! THank you for sharing your story and giving inspiration to others. I also receive cancer treatment at Mayo MN and appreciate the community of care there. They are wonderful!